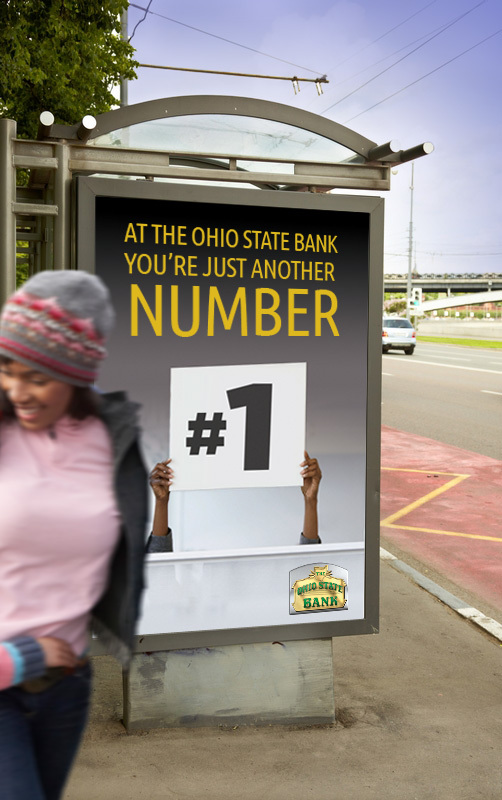 Ohio State Bank wanted to say the same thing pretty much every company says: we’re good to our customers. So how do we show that? Once again, we bring a slightly different perspective to the table and create interesting ways to say what so many other companies say. And that’s what our clients expect from us. They give us the basic idea of what they want to communicate, and we come up with an interesting way to show it.